(CNN) - What is it like to sign up on the online exchanges created by Obamacare? After a Congressional hearing Thursday dissecting the problems plaguing healthcare.gov, the federal Centers for Medicaid and Medicare Services that oversees the new programs under the health care law said almost 700,000 applications have been submitted online on either the federal or state websites. (CNN) – If Chris Christie becomes the Republican presidential nominee in 2016, former GOP Rep. Ron Paul of Texas said flatly he would not be able to vote for the New Jersey governor. (CNN) – Texas state Sen. Wendy Davis, who rose to national fame this week after her 13-hour filibuster in the state legislature, said she was not angry with the deeply personal criticism leveled against her by Republican Gov. Rick Perry, but said his comments were “symptomatic” of his perspective on women’s issues. 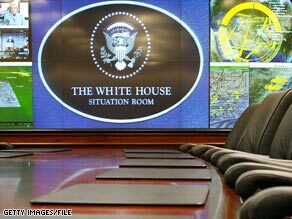 (CNN) - President Obama has invited a handful of CEOs to the White House Situation Room on Wednesday to discuss the growing threats posed by cyberattacks. Administration officials are so far staying tight-lipped about who is attending the closed-door meeting, but one White House official tried to downplay the choice of convening it in the Situation Room, which is ordinarily reserved for high-ranking members of the president's national security team. (CNN) - As both parties seek to find fault for the largely unwanted spending cuts set to go into effect next week, White House Press Secretary Jay Carney says it's too late to play the blame-game. "It doesn't matter that Republicans and Democrats voted for it because the whole point was that it wasn't supposed to come to pass," Carney said on CNN's "The Situation Room." (CNN) - A bipartisan group of senators expressed confidence Monday in their proposal for major immigration reform. But after the last big congressional push failed in 2007, many are asking why it would work this time around. "Elections. Elections," Republican Sen. John McCain said Monday in a press conference, when CNN's Dana Bash asked what was behind the optimism. "The Republican Party is losing the support of our Hispanic citizens and we realize that there are many issues on which we think we are in agreement with our Hispanic citizens but this is a preeminent issue with those citizens." (CNN) - The president of the National Rifle Association is standing by the group's new controversial ad that has drawn fire for referencing the president's children, a rare move in a political attack. David Keene told CNN's Wolf Blitzer on Wednesday that the ad is "not about them specifically," arguing the television commercial was more than just about President Barack Obama's children. (CNN) - Eric Fehrnstrom, a top aide to Mitt Romney, suggested in a Thursday interview with CNN that the GOP presidential candidate's health plan may achieve his goal of covering individuals with pre-existing conditions through "state initiatives and money." 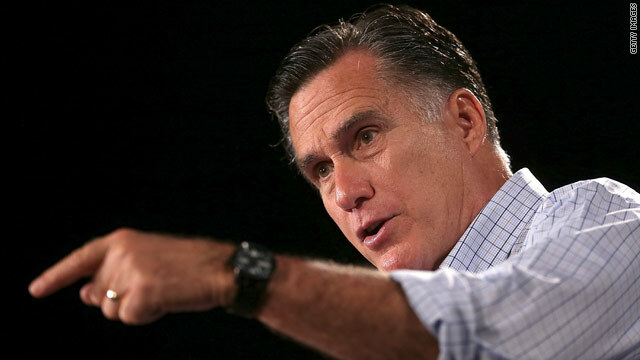 Asked at Wednesday's debate what he would put in place of President Barack Obama's health care law, Romney offered two particular provisions: "Number one, pre-existing conditions are covered under my plan. Number two, young people are able to stay on their family plan." 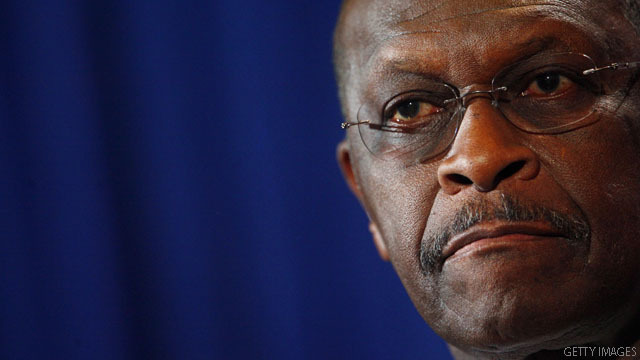 (CNN) – Former Republican presidential contender, Herman Cain, said Monday he's paying for an investigation into the source of sexual impropriety reports during his primary campaign that eventually pressured him from the race. Cain gave up his presidential bid last December amid a flurry of allegations of past sexual impropriety, alleged to have taken place during his tenure as president of the National Restaurant Association. He was also confronted with news reports of a past extramarital relationship. (CNN)-Newt Gingrich again defended the Romney campaign's attacks on President Barack Obama's "gutting" of the nation's welfare system on Wednesday. Asked by CNN on "The Situation Room with Wolf Blitzer," if he believes the ad, released Tuesday claiming a directive issued by Obama would "gut welfare reform," is misleading, the former House speaker declined, further backing-up his former Republican primary opponent.